Girl is NOT a 4 Letter Word: Get Your Hands On Dolores Magazine! Get Your Hands On Dolores Magazine! 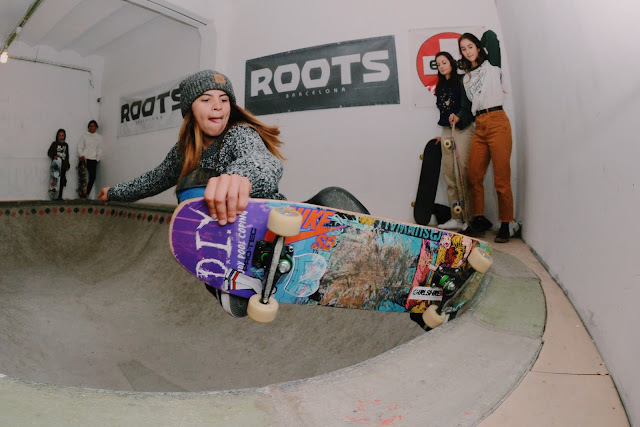 Women in skateboarding have been taking charge and creating the change they wish to see for years now, and the just launched, DOLORES MAGAZINE, is no exception. Asiplanchaba has been an on-line platform to promote and give more visibility to the female skate scene for the past 10 years, and they are always working on projects that will make an impact on women's skateboarding. Welcome to their newest project, DOLORES MAGAZINE! 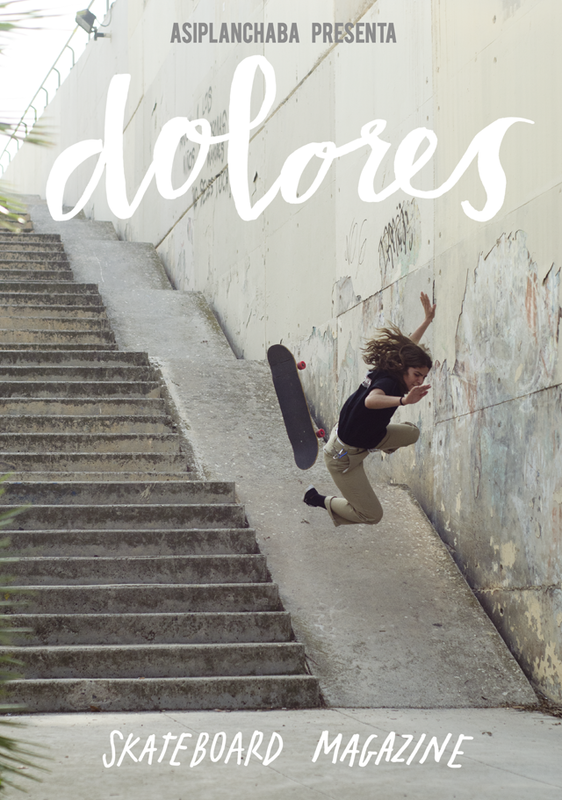 DOLORES came to life from the hard work of skateboarders, Raisa Abal and Verónica Trillo. Raisa Abal is a talented photografer from Galicia, she’s been collaborating with Asiplanchaba for some time and collecting hundreds of photos of their mission, and other golden moments. She's also a skateboarder. During one of their missions she twisted her knee. The girls went toguether to the hospital, where they spent a couple hours talking about all those photos, ‘for something to come in the future’, maybe a fanzine, maybe just for Instagram… so after thinking for a while they realized that they were at the point where they just wanted to go that big step further, so they jointly decided to create a female skateboarding magazine. Verónica, is the founder of ASIPLANCHABA has skated for 20 years. Aware of the unequal situation for women in skateboarding, in 2009 she launched asiplanchaba.com - the first online media in Spain about female skateboarding, and also one of the very few in Europe. 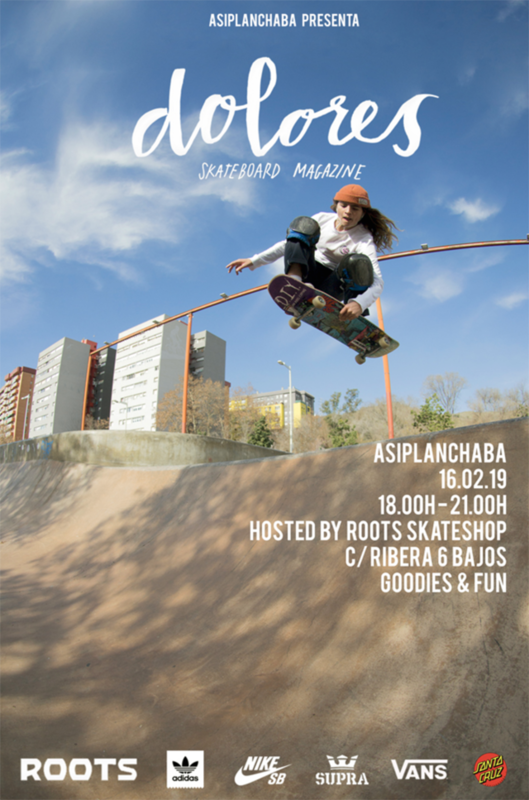 Asiplanchaba is a platform that promotes and gives visibility to female skateboarders and has grown to be one of the largest and more active women skateboarding movements within the European scene. We decided a short interview with these two trail blazing women was in order! How old are you ladies? We are based in Barcelona, the city to skate and meet lots of skateboarders from all over the world. Lovely flat grounds, lovely weather and nice spots. 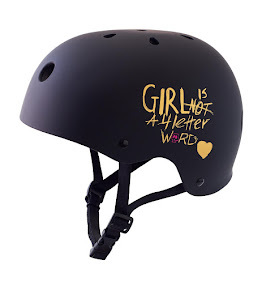 (Raisa) I started skateboarding 5 years ago when I saw a clip in Youtube of a girl (who is my friend now, Gador, thank you, I love you) doing a kickflip with a suuuperlong longboard so I though like: ‘If she can do it with that board… maybe I could do it too…’. I started to take photos of them when I was 15 or less because my mum gave me a compact digital camera for my birthday and I never stopped from that moment. Then when I was 22 and I was about to finish Uni I started skateboarding. What made you decide to start DOLORES Magazine? We realized that there is very few and marginal appearances of female skateboarders in skateboard Magazines. We thought about a fanzine… then..."Why not a Magazine?" Creating a magazine is a big thing - do you have a background in design, photography or? Raisa is a great photographer and designer. We work together a lot, but she’s the artist. (I hate when she says that!!!) I don’t know, I have a lot of material from the last three years so when we decided that we wanted to do a magazine it was like: ‘Okay I don’t have money but I have time -because I don’t sleep more than 6 hours- so the time I’m not working in my official job neither skating, I’m working on Dolores. I want to say thank u so much also to María Abad, one of my friends from Galicia here in Barcelona and such a good artist also, check her illustrations in @lamerisaround, because she did all the lettering in Dolores Magazine. 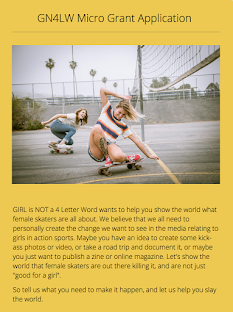 languages and channels to improve women visibility in skate scene. So for us, this is a further step. One more tool. Did you feel that there were not enough women represented in traditional skate mags and videos? YES, we all know that :) is a permanent battle because actually, people think ‘it's enough’. Why do you feel that it is important to have a magazine that is dedicated to women's skateboarding? 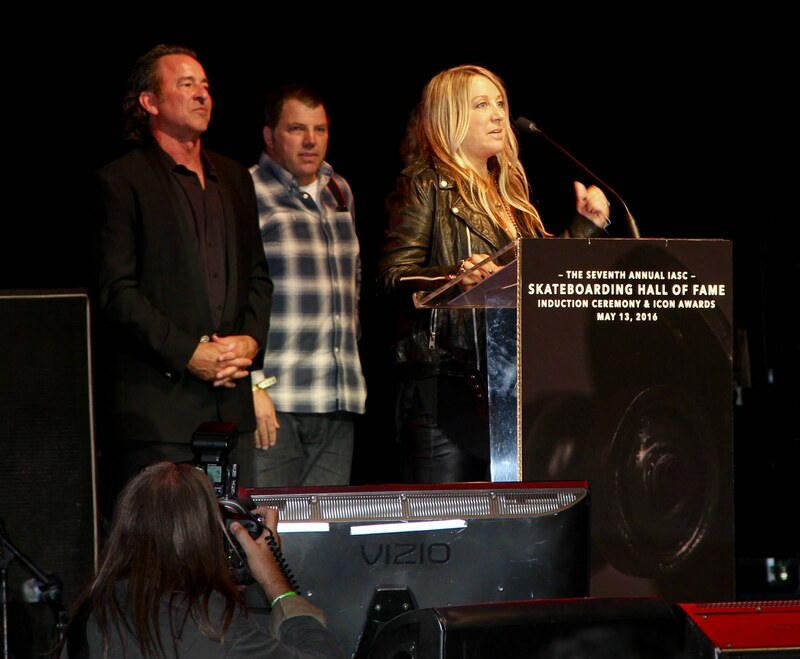 It is not known by everybody that THERE IS A FEMALE SKATEBOARDING SCENE, even in the industry. 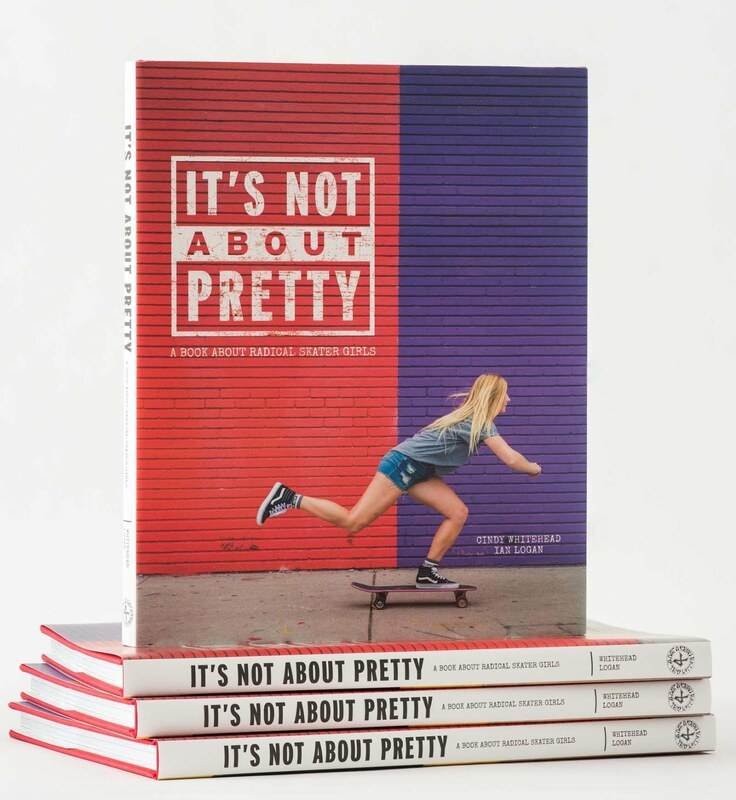 This can be helpful to improve the skateboarding scene for women, motivate more girls and women to go out and have fun skateboarding, having our place, and of course, is not common to see women in skate magazines! Only a marginal percentage of appearance, is that really representative? You had a launch party for DOLORES - can you tell us what that was like? Yes, it was open to the public and it was completely crowded! We were so hyped, we expected a lot of girls of course, but it was full, we dropped almost 200 magazines there. There´s a bowl, so the ladies had a fun session, gifts, games, some drinks and lots of fun! How often will the magazine come out? We plan to release it 3 x a year. Can you tell us which skaters are featured in this issue? Finally, in this initial isue (which is labeled #0) there is Paola Flores (who broke her arm filming that but got the cover), Leti Nogueira, Cata Díaz, Eugenia Ginepro, Andrea Benítez, Heloïse Wathelet, and Julia Wilshusen. Where can people buy the magazine? It´s for free! (as LOVE is) So now, unfortunately, you can just get it in Barcelona and a few shops in Spain and in a week in Madrid. Thanks to all these girls in issue #0 for being always down to get into missions no matter what. Asiplanchaba for being always pushing and supporting us, of course, all the brands and people that help us in one or other way to push further, take our projects to reality, events and especially this new project DOLORES (thanks for all the love!) 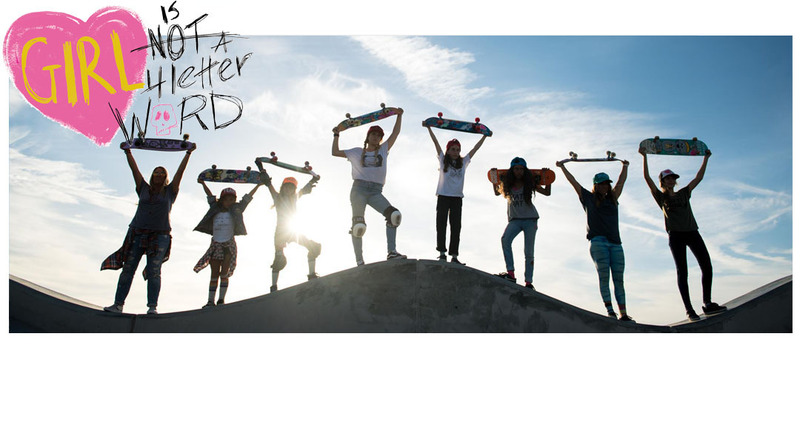 All the men and women out there that support female skateboarding, and especially all you beautiful and powerful women who love skateboarding, never stop! Make sure you follow Asiplanchaba on line HERE to see what's next!